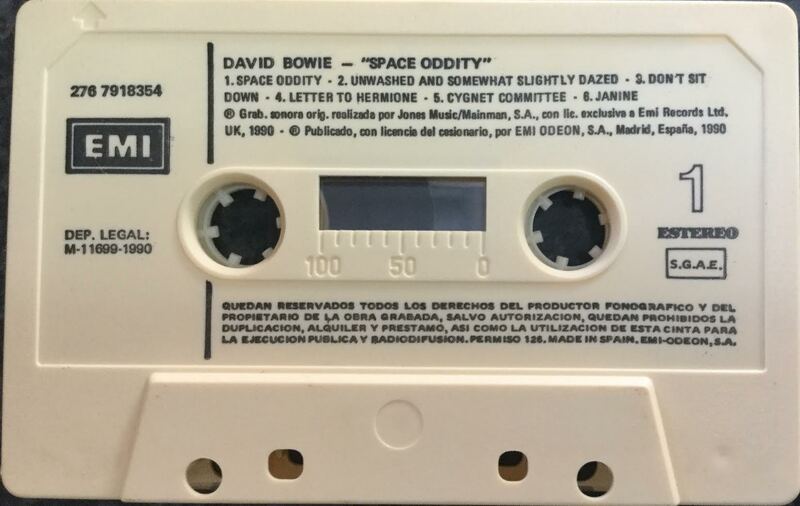 Space Oddity: Spain; EMI; 276 7918354; 1990. Like their CD and LP counterparts the cover has been enhanced with photographs and lyrics etc. Cover is folded paper. 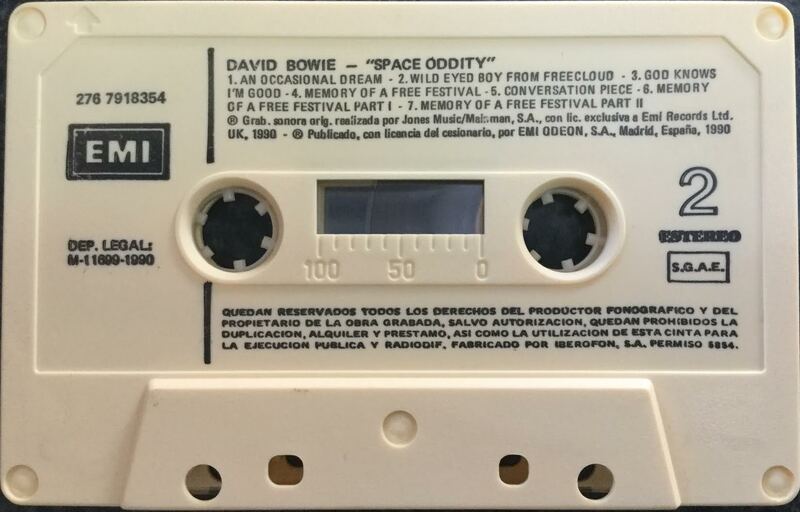 Cassette and inner cover credit publication to EMI Odeon. The stamp on the front cover is integral to the printing and not stuck on; it reads ‘contiene temas no publicados anteriormente’ – contains previously unreleased material. Black ink printed directly to white shell. Titles in English information in Spanish. The track sequence has been slightly adjusted from the lp format so that track 1 from side 2 ‘Janine’ has been added as the last track on side 1 to give room for the bonus tracks: ‘Conversation Piece’, Memory Of A Free Festival Part 1 & Memory Of A Free Festival Part 2. ‘Don’t Sit Down’ has been included on side 1.